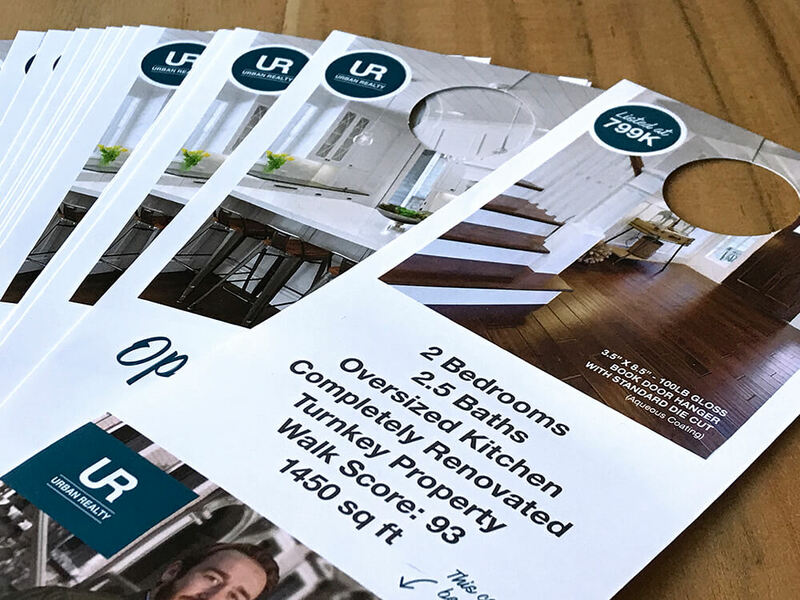 Printed door hangers continue to be a cost-effective marketing tool that is often ignored when marketing a business, product or service. But, their rock-bottom printing costs make them an attractive marketing prospect for cash-strapped businesses. Local businesses like restaurants, dry cleaners, beauty salons, and convenience stores find them to be an effective way to market promotions and a great way to push for holiday sales. Service-based businesses can advertise monthly maintenance packages and service contracts. They are ideal for promoting sales or coupons, grand openings, or special events. A new burger restaurant might pass out 500 in nearby neighborhoods that offer a BOGO meal deal if customers bring in the door hanger coupon. You may even consider A/B testing different coupon deals to see which offer has the most significant impact on sales. By creating and implementing measurable goals, it’s easy to evaluate your promotion’s effectiveness, as well as identify strengths and weaknesses that need to be addressed. Defining your audience is key to your promotion’s success. Who do you want to gain business? The more targeted your audience, the better the return on your investment. Some companies opt to blanket entire communities while others find it more beneficial to pursue a specific demographic. An upscale clothing boutique might choose only to distribute them in affluent neighborhoods because that’s where their customers live. They should trigger a sense of urgency. Use language that creates FOMO (fear of missing out) with terms like limited time, act now, call today, going fast, etc. They must be visually appealing. An excellent design doesn’t just command attention for your special offer or announcement. It makes a statement about your company, brand, and the quality of your services or products. Are you struggling with a custom design? We offer in-house graphic design services to our customers. Studies show that 80% of your marketing success is dependent on the deal offered and the distribution. That leaves 20% for copy, design, and printing. 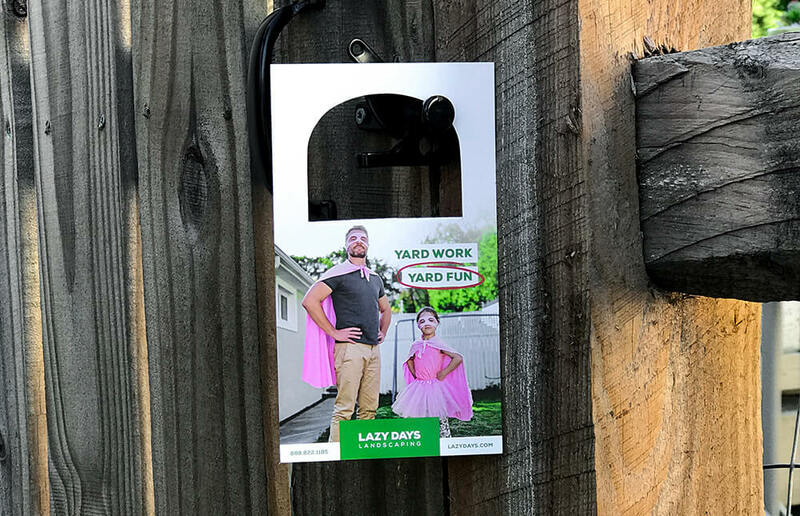 While strong copy and compelling design seem like a no-brainer, it’s equally important to remember that the print quality of your door hanger play a part in how customers view your company. Print as many custom hangers as you can afford to cut down on overhead. There’s no point in marketing with them if you’re not keeping track of responses. It’s the only way to measure your campaign’s success. There are several ways you can track this, such as the number of coupons collected or asking people how they found out about the promotion. 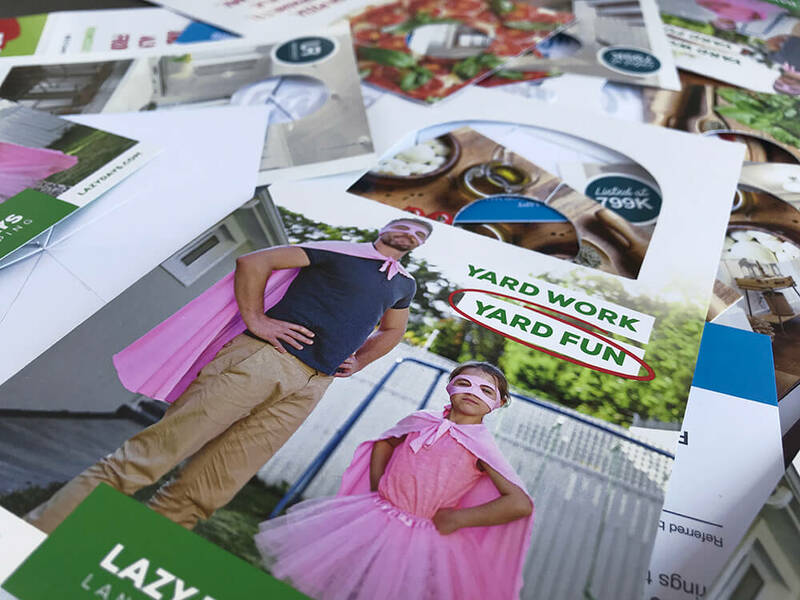 Online coupons are also an easy and popular tool; all you have to do is make sure your coupon code or URL you’re referring customers to is unique, not found on any other marketing materials. From there, a tool such as Google Analytics can do the rest. 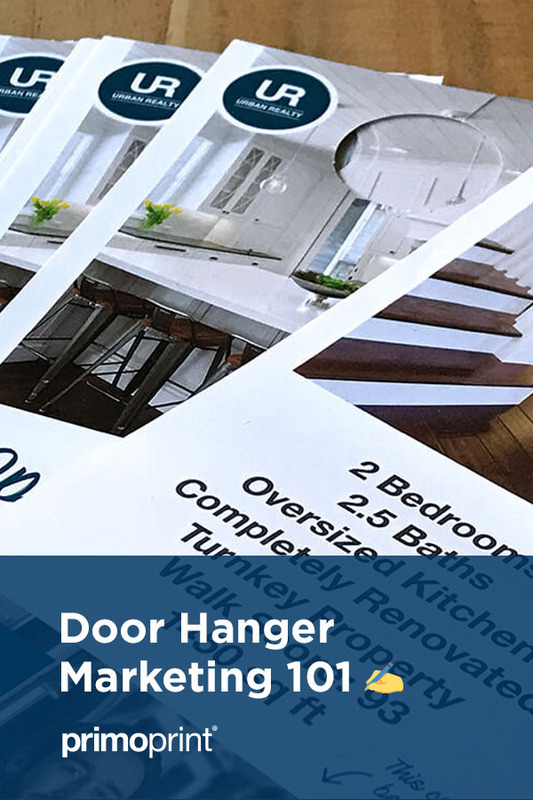 By following these tips and continuing to test, track, and finesse your custom hanger strategy, you’ll be able to reliably initiate and execute effective door hanger marketing campaigns with a successful ROI. NextExcuse Me…Did You Say “Blurple”?